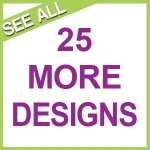 Shop unique food & nature themed gifts personalized in cool metal designs & 30 colors. 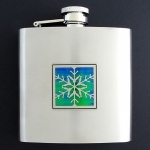 Engraved plant gift ideas, beverage flasks, ornaments, made in USA. Create your own cool gifts featuring Kyle's food, beverage & nature designs. Add your favorite color & an engraved name to create the perfect gift! Don't miss Kyle's specialty nature & food gifts. Make it personal! 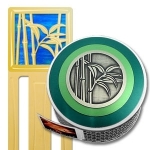 Custom select desired design, gold or silver merchandise, engraving and relevant color for the perfect personalized gift or present. 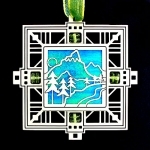 Click links to see our full selection of gift items with particular foods or nature themed designs. Find a great selection of unique food & nature theme gifts featuring designs from the world around us - from celestial bodies to plant life, right down to the molecules. 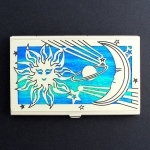 Find engraved card cases, flasks, night lights and pill boxes with original designs. Food themed gifts include drinks, desserts, fruit & candy and are great for people who work in the food service industry, own a restaurant or catering business, or just love certain foods - like chocolates or desserts! 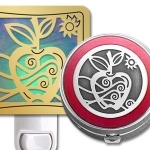 Apple - Unique gifts with apples for elementary school teachers and tutors. Cakes - Items with celebratory birthday cake design make one-of-a-kind birthday gifts. Candy - Who can resist these candy-theme and ice cream design gifts for anyone with a sweet tooth. 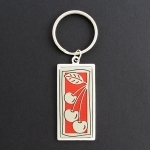 Cherry - Stylish gifts with cherries for teen girls. Chili Peppers - Add some spice to your gift with our custom chili pepper art. Chocolate - Add these mouthwatering desserts to any product for the perfect gift for the chocoholic. Cookies - Gooey chocolate chip cookies adorn these sweet gifts for bakers. Cupcake - Frosted cupcake themed gifts for girls make for a happy birthday. Fruit - Unusual gifts with fruit you can't find anywhere else! Grapes - Elegant grape gifts for wine lovers from Kyle Design. Lemons and Limes - Summer themed gifts with limes and lemons will have you hankering for some fresh squeezed lemonade. Pies - If pies are your weakness, you won't be able to resist these sweet gifts with slices of pie. 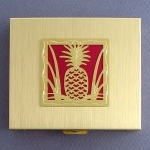 Pineapple - Hawaii-inspired gifts with pineapples have an exotic, tropical feel. Strawberry - If you love fresh strawberries you'll adore these metal strawberry gifts. Vegetables - Veggie themed gifts for health nuts remind you to make healthy choices. Kyle's gift items featuring various alcoholic and non-alcoholic caffeinated drinks are great for people who enjoy happy hour as well as coffee lovers. 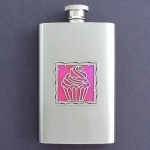 Alcohol - Kyle Design's alcoholic beverage gifts are great for 21st birthdays (and beyond). 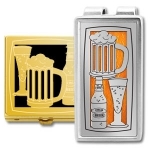 Beer - Unique beer themed gifts for men and women are great for birthday and bachelor parties. Coffee - Steamy coffee mugs create a feeling of warmth and friendliness on these coffee themed gifts for friends. 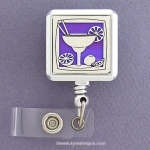 Margarita - Happy Hour Gifts for margarita drinkers - it's 5 o'clock somewhere! 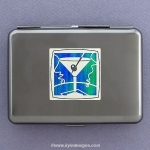 Martini - Festive gifts for martini drinkers - always the life of the party. 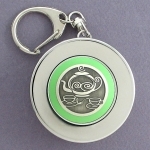 Tea - If he or she loves drinking teas, these metal teapot themed gifts are sure to please! 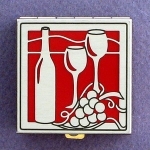 Wine - Buy elegant gifts for wine drinkers and wine connoisseurs. It's no secret that women love to get flowers - why not surprise her with a flower design gift item she can keep and treasure forever? Bonus points if you have your gift engraved! 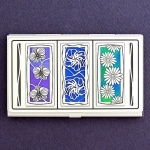 Flowers - See all types of blossoms on these unique flower themed gifts from Kyle Design. 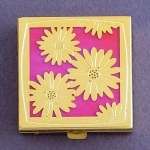 Daisy - Cheery gifts with daisies are great for close female friends - get a personalized gift for your BFF. Hibiscus - Gorgeous gifts with this tropical flower - pink, purple, white and more. 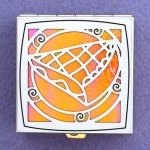 Iris - Springtime gifts for Grandma - iris pill boxes, night lights and more. Orchid - Buy gifts with orchids for a favorite florist or as a unique "Thinking of You" gift. 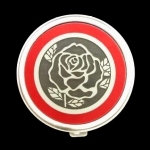 Roses - Get your wife or girlfriend roses that will never die with our metal rose design gift items. 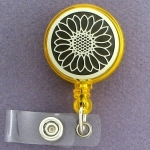 Sunflower - Brighten someones day with a cheerful gift featuring a giant sunflower. 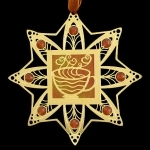 These gifts capture the beauty of nature with intricate metal etched designs of flowers, trees, elements and planets. Bamboo - Asian style bamboo sticks make these birthday gifts elegant. Botanicals - Find tons of presents featuring botanical decor. 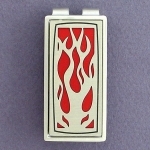 Fire Flames - Flaming hot gifts for your guy featuring decorative flames. Four Leaf Clovers - Everyone loves lucky gifts with a 4 leaf clover - choose from 5 shades of green! Ginkgo Leaves - Stylish gifts for men and women with gingko leaves. Leaves - Fall themed gifts with leaves are perfect for anyone started a new chapter in life. 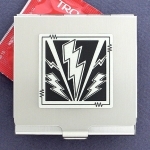 Lightning - Make a statement with gifts with lightning bolts for meteorologists or storm chasers. Maple Leaf - Add this Canadian leaf to any product for autumn themed gifts. 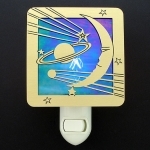 Moon and Stars - Outer space planetary gifts with the sun, moon, stars and planets. Mountain - Scenic mountain peak and forrest trees adorn these outdoorsy gifts. 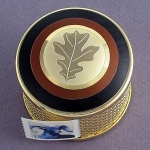 Oak Leaf - Nature themed gifts with oak leaves for botanists, tree lovers and naturalists. 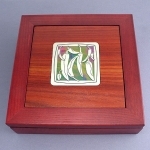 Ocean Waves - Contemporary ocean swirls create unique gifts for teens and surfers. 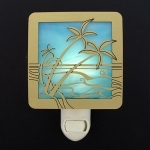 Palm Trees - Tropical paradise gifts for honeymooners featuring palm trees along the shore. 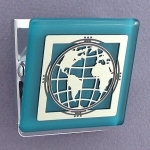 Planet Earth - Globe design gifts for activists and anyone who travels the globe. 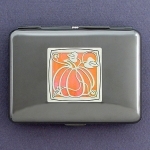 Pumpkin - October gifts with pumpkins for halloween lovers. 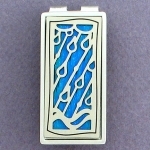 Rain - Raindrops are falling in these unique seasonal gifts for weathermen. Rainbow - Sunshine and rainbow gifts for little girls, kindergarden teachers, or childcare professionals. 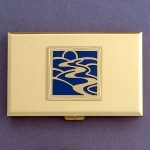 River - Soothing gifts with a calm, winding river disappearing into a setting sun. 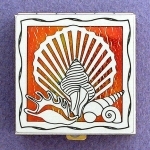 Seashells - Beach themed gifts and decor with seashells are great for any beach house. 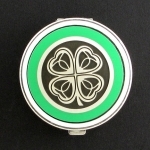 Shamrock - Irish St. Patrick's Day gifts for March 17 feature lucky shamrocks. Snowflake - Winter wonderland gifts with snowflakes make great keepsakes. Star - Stellar gifts with stars for anyone who's done a superstar job. 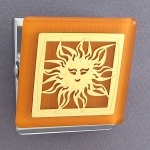 Sun - Find a variety of gifts featuring the sunshine - sure to brighten anyone's day! 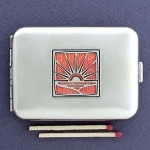 Sunset - Watch the sunset everyday with these setting sun items. 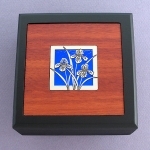 Thistle - Unique Scottish gifts with elegant etched metal thistles. 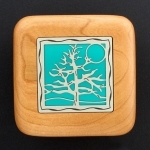 Tree of Life - Create lasting memorial gifts with our symbolic tree of life design. Tropical - Buy gifts with dolphins, flip flops, palm tree and exotic birds. 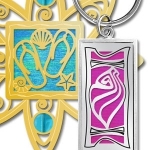 Vine - Artistic swirly vines embellish these special gifts for your daughter. Walnut Leaf - Sleek gifts with walnut leaves are great for landscape designers. 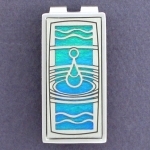 Water - Water droplets, rain, splashes, and ocean waves decorate these aqua gifts. Weather - All weather-related elements can be found on these personalized gifts. 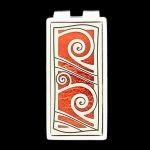 Wind - This artistic, contemporary abstract design can represent the wind or whatever you'd like. World - Decorative globe gifts for save-the-planet awareness.